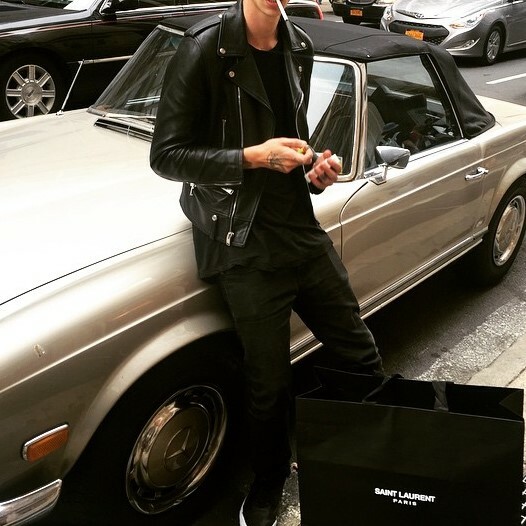 Leather jackets have away moved from being a very niche specific clothing piece to a regular staple that can be worn in a variety of ways and mixed into a regular guy’s wardrobe easily. 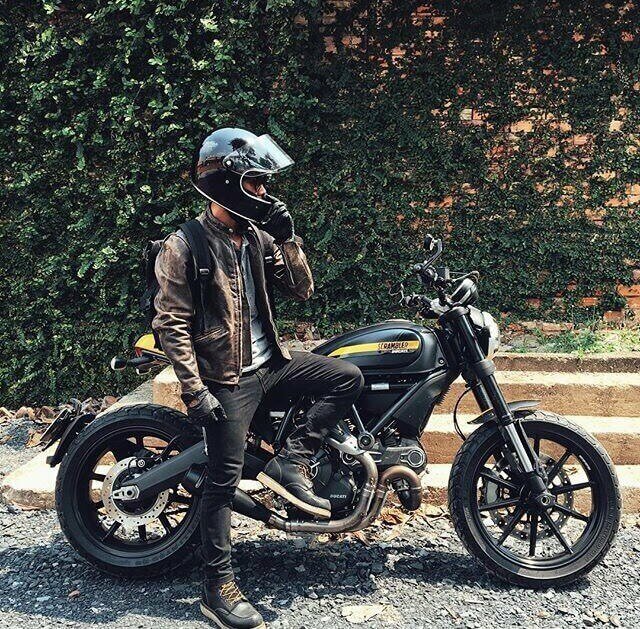 Whatever your flavor of leather jacket might be – black, red, brown, modern, biker, trendy and however way you like to wear it – over hoodies, t-shirts or button downs there is a style out there for you. 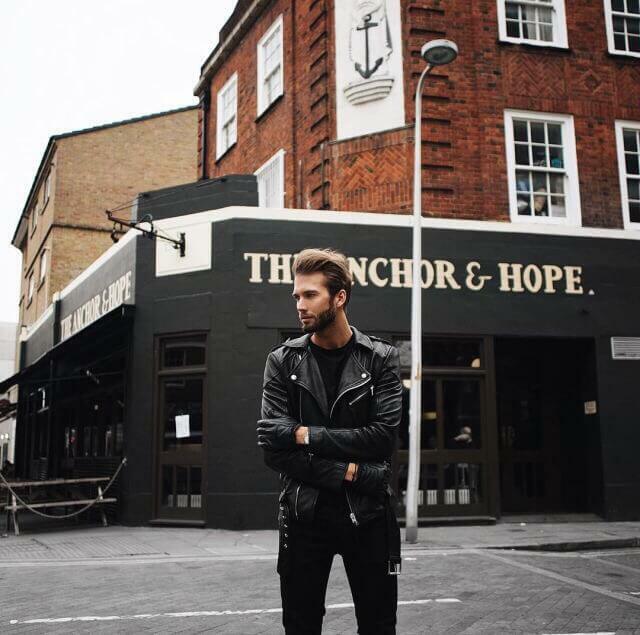 What Leather Jackets To Wear in 2017? 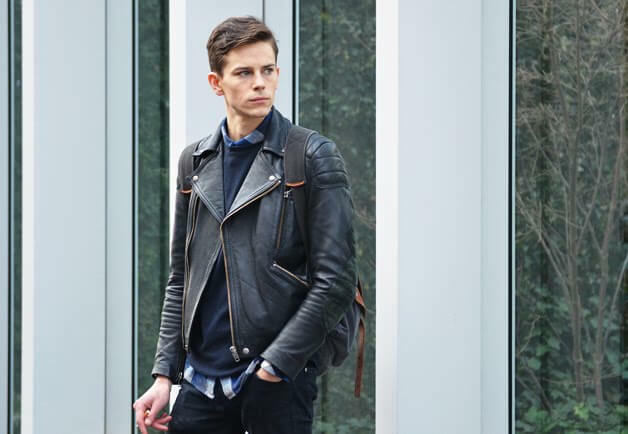 There’s so many different styles of leather jackets that picking the right one can get a bit confusing. We’ll attempt to breakdown the different types of leather jackets trending in 2017 to make the choice easier for you. 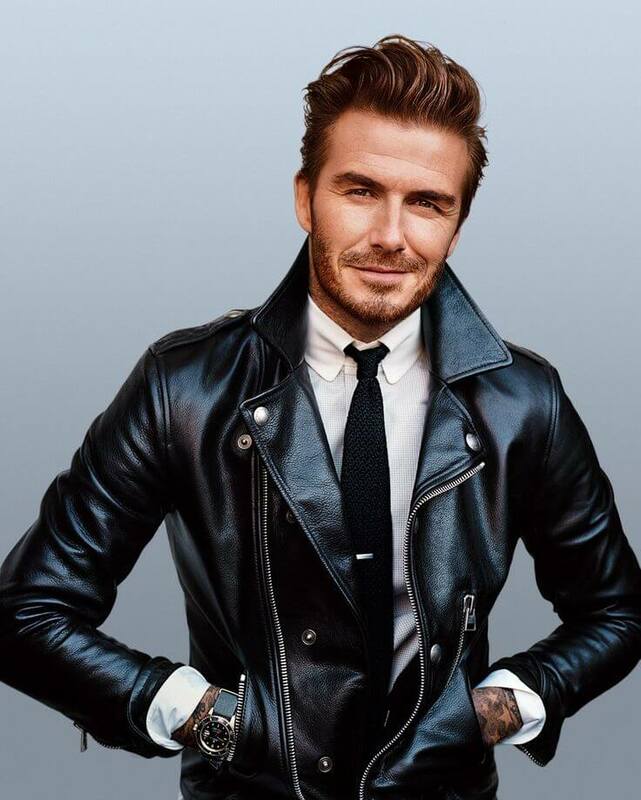 This is the classic style that everyone thinks of when they hear the words “leather jacket”. 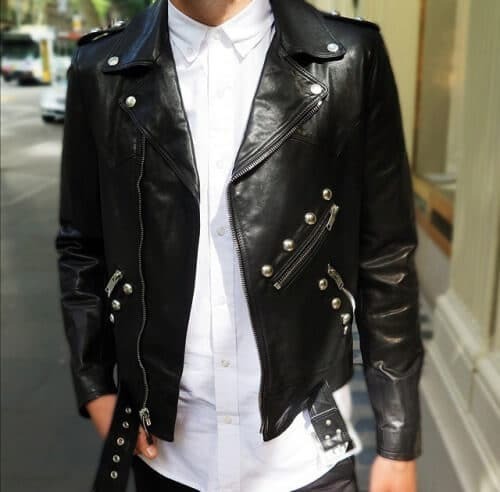 An important thing to note when picking out a black leather jacket is to find one that’s high quality – a low quality leather jacket will easily show through faded colors and rips, especially in a color like black that easily shows imperfections. 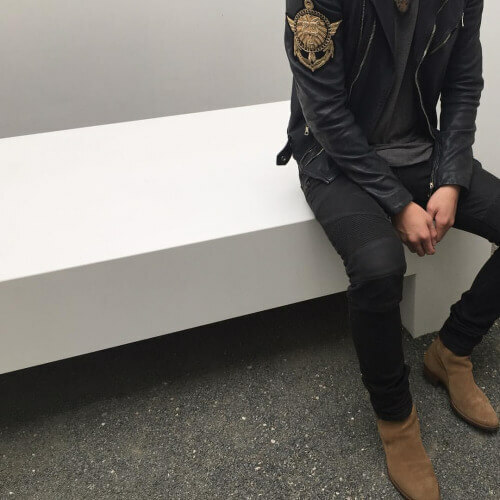 The jacket should feel slightly heavy and sit comfortably when paired with a t-shirt or button up shirt. The jacket should be well-fitting but not constricting. Slightly oversized so that you can breath but it should still hug your body. By vintage we don’t mean a 300 year old jacket that was passed down through the generations. A vintage jacket can mean just the way it looks – the old rock n roll or greaser style. Many modern jackets come in this “vintage style” but of course if you can find a true vintage leather jacket that’s awesome too. 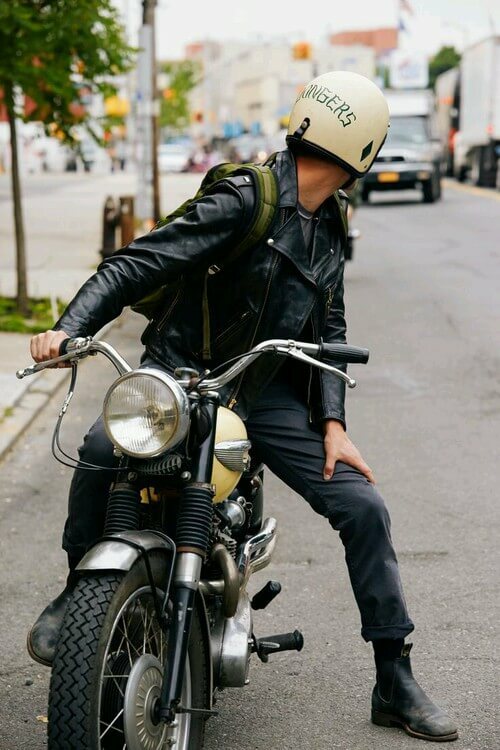 The classic motorcycle jacket (usually found in black) looks amazing and even better in brown. With many classic menswear pieces being worn in trendy browns and camel colors (like the classic overcoat) it was only a matter of time before this colorway moved onto more classic pieces like the biker jacket. 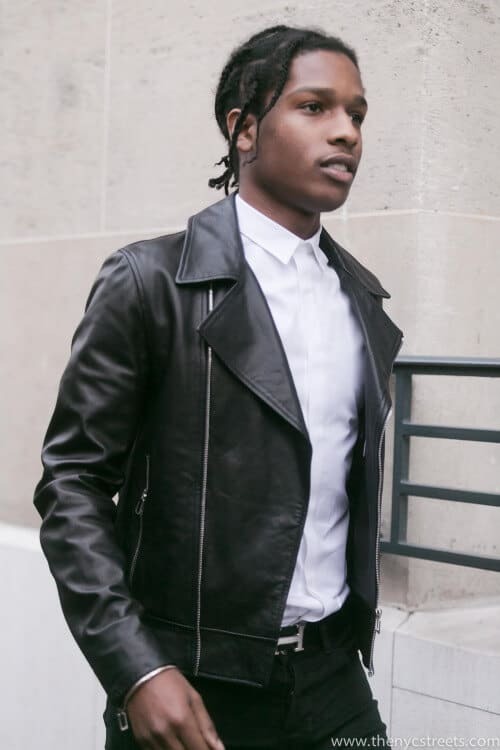 How to wear leather jackets in 2017? 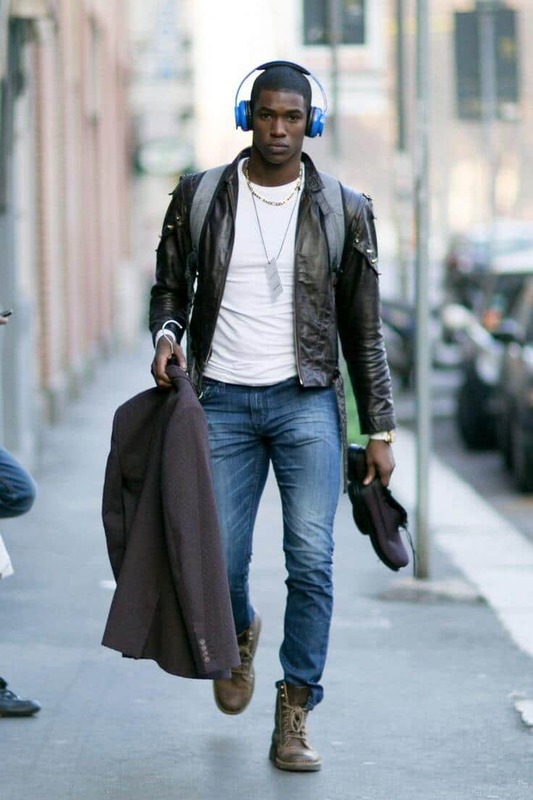 The worst thing about leather jackets are the uninspired or ill-fitting outfits plaguing many guys who attempt to wear one. 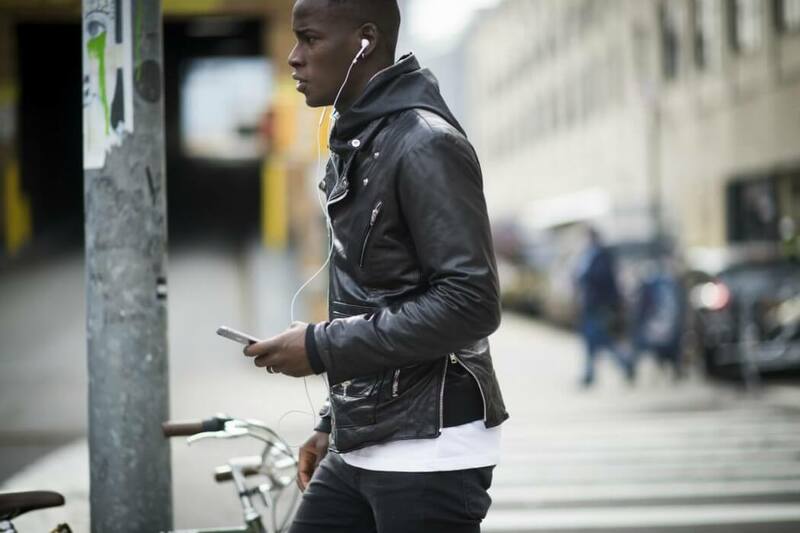 Unfortunately this is a very common thing when it comes to men and biker jackets. 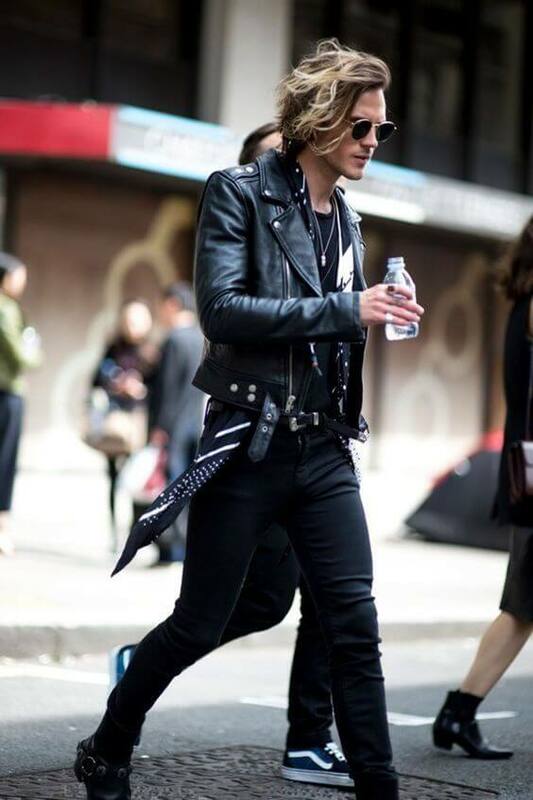 The jacket itself is not enough to pull everything together, it’s the supporting pieces that elevates the leather jacket into bad boy super-stardom. 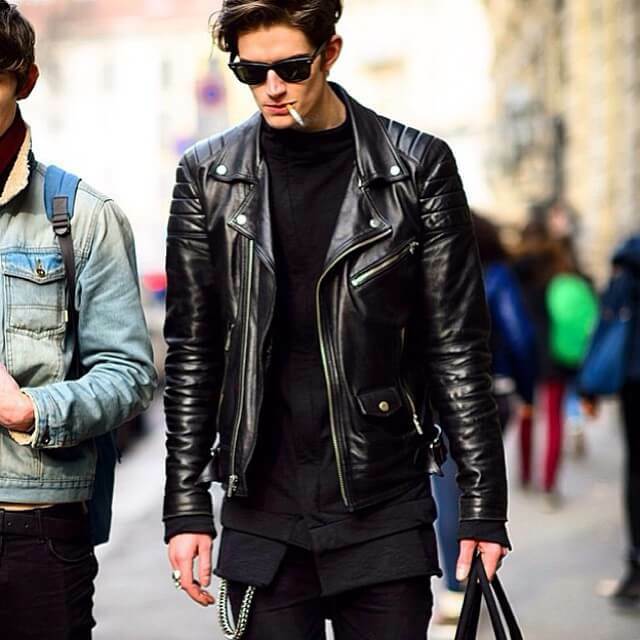 There are so many ways to stylishly pull off leather jackets that the best way to show you is visually.